Andrew McGee qualified as a Solicitor at the age of 25 in February 2011 and very quickly established himself as a passionate and devoted Solicitor throughout Middlesbrough and the North East. Andrew is a Duty Solicitor and a member of the Criminal Litigation Accreditation Scheme. Andrew oversees the Police Station and Magistrates Department. 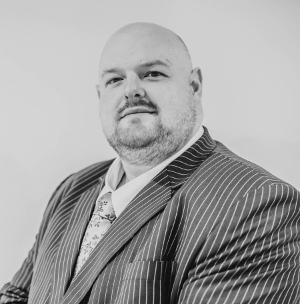 For around six years he worked in Middlesbrough representing many clients in all aspects of Criminal Law and more recently prior to establishing MMA Law Ltd, he worked freelance across the North East dealing with many high-profile cases including allegations of murder, complex fraud and people trafficking. Andrew believes that positive results can only be achieved by thorough and meticulous case preparation, and when instructed he will exhaust all avenues to secure the best results for his clients. At only 33 years of age, Andrew has established McGee McGee Agar Law Ltd as a leading provider of Legal Services in the field of Criminal Defence. Andrew is regularly requested by defendants charged with the most serious of offences, to represent them both in the Police Station and at Court, which is a testament to his level of dedication and professionalism within the Legal sector.